This post is sponsored by Lunchbox about Purina One available at Sams Club. All opinions are my own. If you read my blog, you know that we have one little dog named, Ruger! He is such a spoiled little dog, but we wouldn’t have it any other way. He is six years old now, and healthy as can be. I feel like he is still super healthy because we really care about the food and treats he gets. I think buying food that is packed full of nutrition is key to having a healthy happy dog! 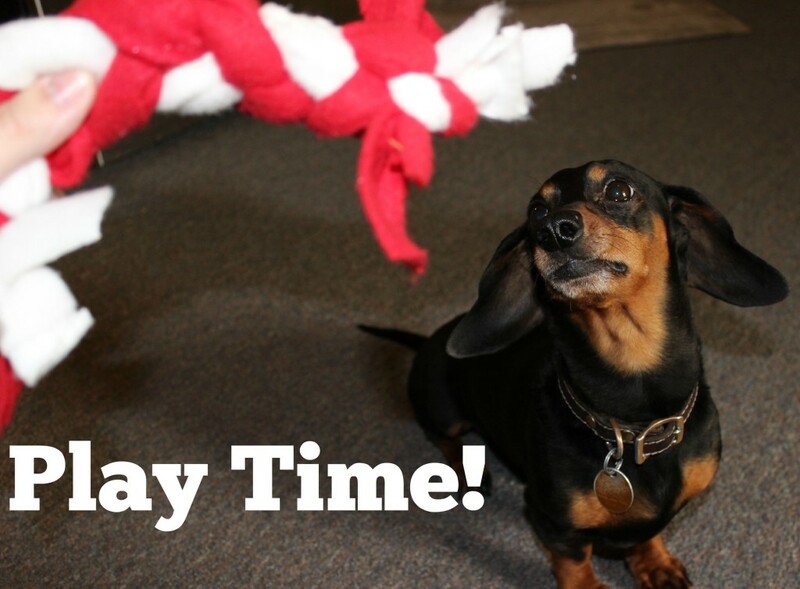 Ruger still acts like a puppy a lot, he loves to play all the time, and of course take his naps to gain that energy for another round of fetch later in the day! I am not sure if you have heard about the Purina ONE 28-Day Challenge, if you haven’t you might want to try it out for your four legged friend! 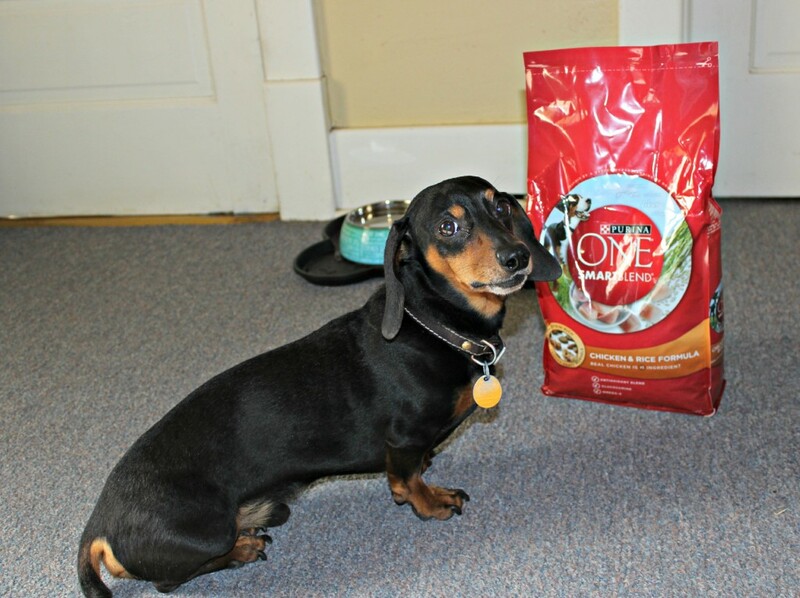 Purina ONE is made with real meat and includes vitamins essential to help your dog be as healthy as he/she can be. 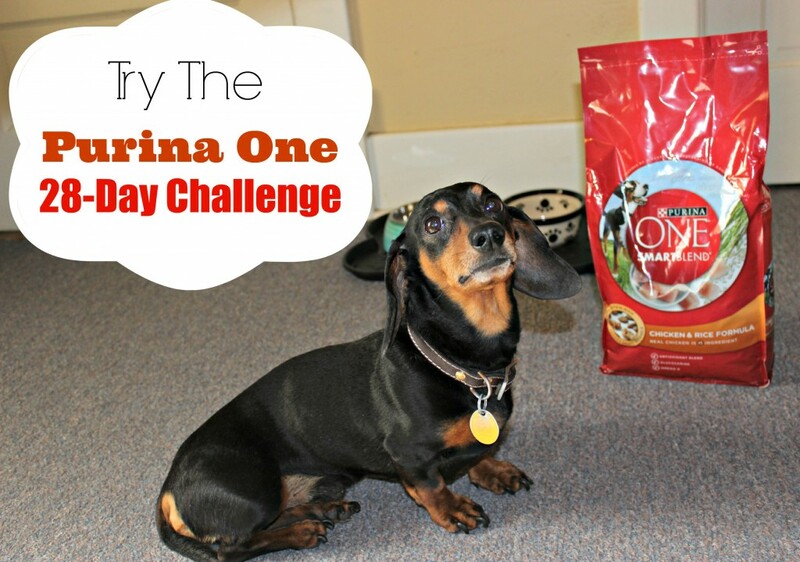 In the 28-Day challenge you switch your current dog food over to Purina ONE. Then in that 28-Day Challenge you will be able to see the benefits that come with the new switch of food. I mean first off look at that food, you can see the nice big chunks of meat, Ruger went crazy for this food. He absolutely loves it, and we got the chicken and rice formula, which is nice and sensitive on his tummy. He tends to have a sensitive stomach when it comes to food and so far he has been doing amazing with this food! He hasn’t had any troubles, which is really nice! Look at his shiny coat, you can really tell he eats really well for how good he looks! They say having a food that gives them the nutrients they need will leave them with a nice shiny coat, they will have energy, and just look and feel good! I really believe that for sure, cause Ruger fits all of those! So if you want to take a chance and try the 28-Day Challenge, I think you will see lots of benefits from it! head to Sam’s Club to pick up Purina ONE and take the 28-day challenge. Visit to learn more about the benefits of the 28-day challenge! You can see real dogs and real results, to see what others are saying about taking the challenge! 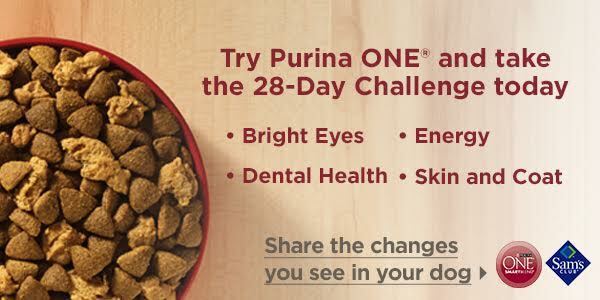 Would you want to take the Purina ONE 28-Day Challenge for your four-legged friend?! 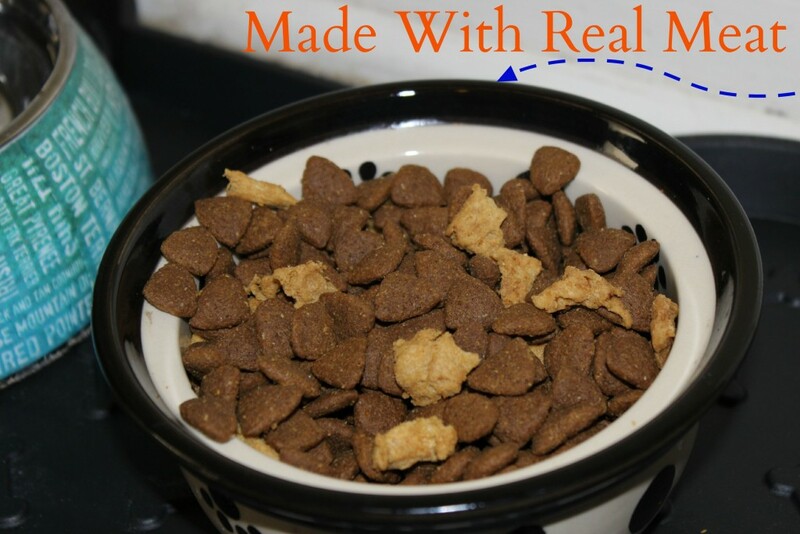 It has been a long time since looking at dog food (we had to get a brand our dog was not allergic to), we will be getting a new dog in a few months and this post really helps me to decide on what I need to get for the dog. Thanks Andrea, we hope he adjust well when baby arrives! What a cute dog! My pooch loves her Purina as well! She loves to eat the darker pieces first though. I don’t have dogs but it sounds like great food for dogs that has a lot of benefits. When I had a dog i always made sure to check the ingredients. My puppy loves PurinaONE! And I’m anxious to see how it makes her coat look! We introduced it about two weeks ago, so she’s still transitioning, but she sure loves it! Unfortunately our pup has allergies so she’s on a holistic organic food that doesn’t have preservatives or artificial ingredients. We have been a Purina family for many years now. I think they are a high quality food I feel good about giving to my pets. We don’t have any dogs in our home, but my parents have two. I’ll have to tell them about this. Ruger is such a cute dog! 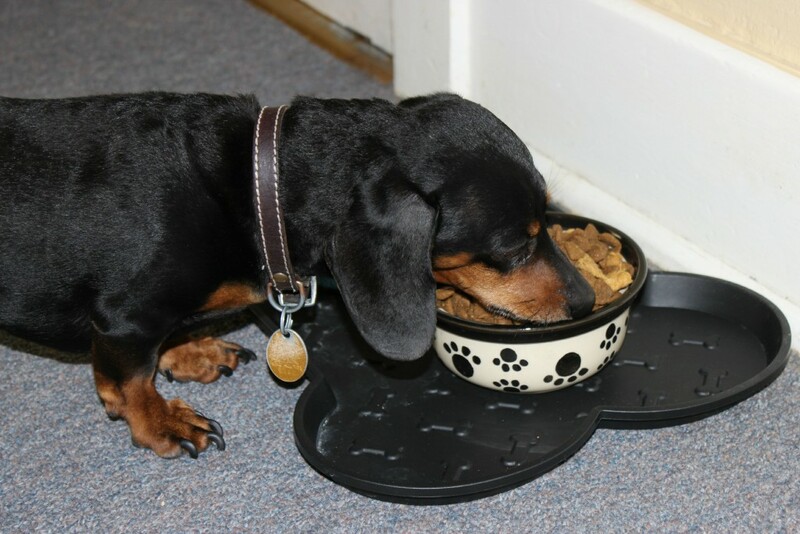 It looks like he enjoys his Purina dog food. Your dog is adorable!!! Purina one sounds like a great dog food for pets! Oh he is to cute! It’s important to keep our furry friends healthy as well. They are such an important part of our family. My Sister has two little dogs that are fed Purina One. They have such shinny coats. This is a great challenge. It’s important to take care of our furry friends! We ant them to have nice, long, healthy lives! Your pup is so cute! My dog is 15 and a half and not doing well. I remember when he loved treats though! This sounds like a great challenge. Our animals love Purina. I can’t wait until we get a family dog! Our dog will totally eat Purina, too! Awww, what an adorable doggie! We have 3, and two of them are having birthdays this week! They’ve been loving their Purina!